The U.S. Department of Health and Human Services’ second edition of the Physical Activity Guidelines for Americans was released at the American Heart Association’s Scientific Sessions meeting Nov. 11. The second edition provides evidence-based recommendations for youth ages 3 through 17 and adults to safely get the physical activity they need to stay healthy. Adm. Brett P. Giroir, MD, assistant secretary for health, released the guidelines and said there are new key guidelines for children ages 3 through 5 and updated guidelines for youth ages 6 through 17, adults, older adults, women during pregnancy and the postpartum period, adults with chronic health conditions, and adults with disabilities. The United States currently has low levels of adherence to the guidelines – only 26 percent of men, 19 percent of women and 20 percent of adolescents meet the recommendations. According to the guidelines, these low levels of physical activity among Americans have health and economic consequences for the nation, with nearly $117 billion dollars in annual healthcare costs and 10 percent of all premature mortality attributable to failure to meet levels of aerobic physical activity recommended in the guidelines. Adults need 150 minutes of moderate-to-vigorous aerobic activity each week, with muscle strengthening activities on two days during the week to stay healthy. Youth ages 6 through 17 need 60 minutes of moderate-to-vigorous physical activity each day. “The new guidelines demonstrate that, based on the best science, everyone can dramatically improve their health just by moving – anytime, anywhere and by any means that gets you active,” Dr. Giroir said. “That’s why we need to come together as a nation to get Americans moving. When we move more, we have better cardiovascular health, we are stronger and less susceptible to disease, and we feel better. He said the second edition, based on a comprehensive scientific review, reflects new knowledge about immediate and long-term health benefits from physical activity, as well as new evidence that physical activity can help manage chronic conditions that many Americans have. 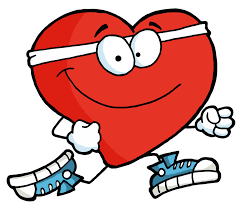 Ivor Benjamin, MD and president of the American Heart Association, said the association has long recognized physical activity as a proven way to lower chances of heart disease and live a longer, healthier life. The previous guidelines stated that only 10-minute bouts of physical activity counted toward meeting the guidelines. This requirement has been removed because all activity counts. There are immediate health benefits, attainable from a single bout of activity, including reduced anxiety and blood pressure, improved quality of sleep, and improved insulin sensitivity. There are more long-term benefits from physical activity, including improved brain health, reduced risk of eight types of cancer (previously two), reduced risk for fall-related injuries in older adults, and reduced risk of excessive weight gain. Physical activity helps manage more chronic health conditions. It can decrease pain for those with osteoarthritis, reduce disease progression for hypertension and type 2 diabetes, reduce symptoms of anxiety and depression, and improve cognition for those with dementia, multiple sclerosis, ADHD, and Parkinson’s disease.